Jack and Angela Lin, founders of THEY. In this series, we’re highlighting the stories of people who remain connected to their home countries—either those with immigrant parents or those who are immigrants themselves. With “We Are All Immigrants: Stories About the Places We’re From,” you’ll hear from those most acutely affected by changing policies and a shifting reality, those who exist as part of multiple cultures at once. Here, a pair of NYC-based shoemakers reflect on their “transnational” upbringing. That they live in New York and manufacture their line, THEY, in Taiwan feels totally natural to Jack and Angela, because it’s exactly how they grew up. With a father who traveled often for work and a mother who prioritized education and English language skills, these siblings are veritable citizens of the world. Jack: Our line, THEY, is the first time our family’s factory is working with American clients. For our family to venture out into the Western audience is really something new to them. Working with family is a true challenge because on one hand, it’s family, but on the other hand, we’re also their clients. So we have to draw a line between the professional and personal. Growing up, did you work at or visit the factory? What are your memories? Jack: Yeah, it’s a very family-focused operation. My grandmother was on the sewing machine, and our dad was driving trucks around to pick up shoe parts from different parts of Taichung. Going to the sole factory, the shoelace factory, and bringing it back and packaging at home—their dinner table would double as the packaging table. Angela: Our dad really involved us in terms of learning what a day in the life of a factory looks like, walking us through each step of the manufacturing process starting from where we source materials. Whenever we visited him, he would take us out on field trips and teach us how a shoe was made. 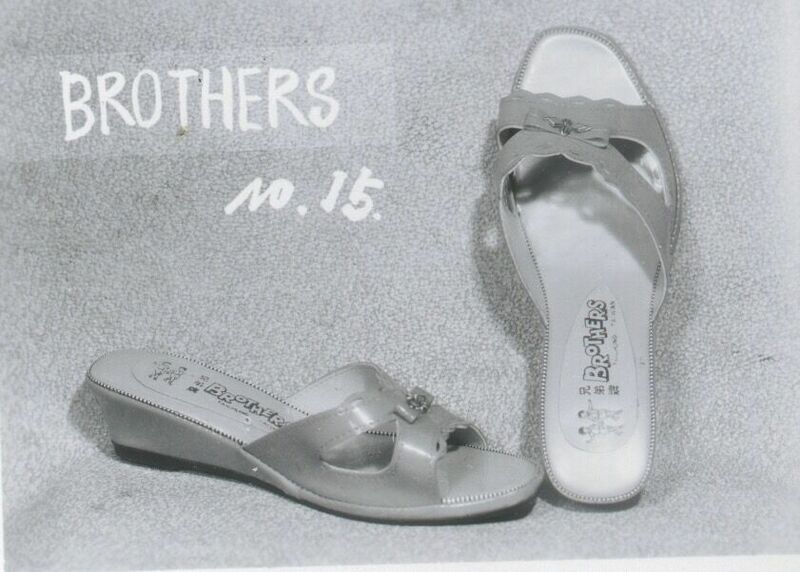 Original shoe models from the Lin family factory in Taiwan. 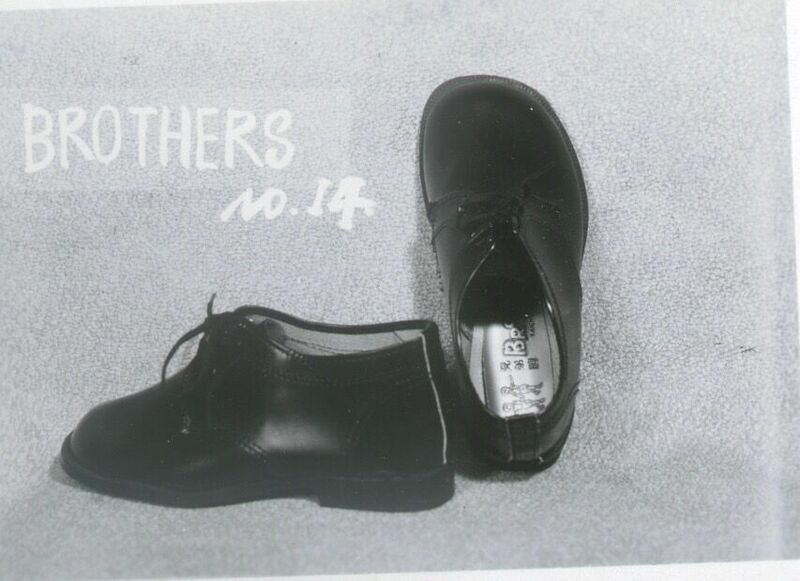 Angela: I guess at that point, that was our norm – we went and saw how shoes were made. We got the front row seat, the behind-the-scenes of a lot of projects that you see selling in North America. Jack: I didn’t buy my first Nikes until the end of high school. Angela: Yeah, we thought shoes came in plastic bags, we just grabbed them from the warehouse. 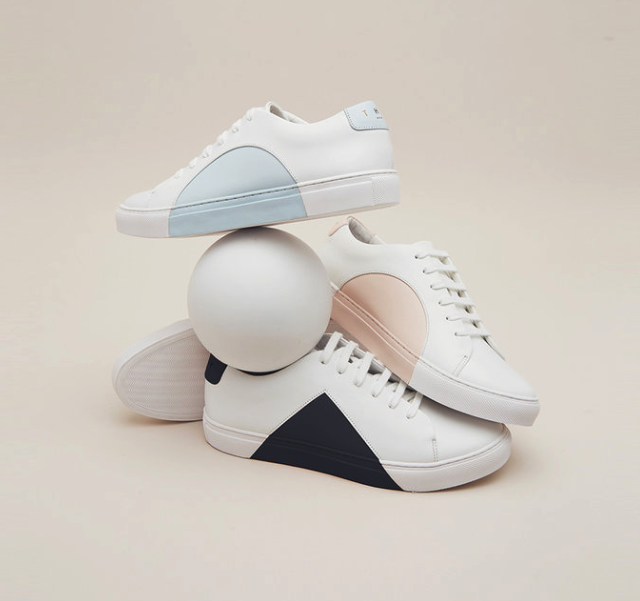 Did you think then that you would grow up to create shoes? Angela: Absolutely not, but now it seems very natural, because when Jack was a kid he was really good at drawing, and he would just draw out shoes from his favorite characters and then send it over to my dad, and my dad would make that shoe. How did you end up moving from Taiwan to the U.S.? Jack: Our mom actually studied abroad in Cambridge for a year and I think that broadened her perspective of the world and made her realize how important English as a language is. Japanese and Chinese are default languages for us, but our mom brought us to America from a very young age specifically so we could learn English. Angela: We grew up in Taiwan, and came to the States every summer, so it’s kind of like a second home. And both Jack and I came to New York for university. I’ve had a bit of a different story because I studied at a lot of the global campuses at NYU, so I’ve been in a different city every year for the past five years. But Jack has been here since freshman year. Tell me about your summers in the States. How old were you when that started happening? Angela: We first came to California when I was four—we’re one year apart, so Jack was five. We came for preschool and kindergarten. My mom just dropped us off at the school and we didn’t speak a word of English. Jack: Yeah, I think we cried for three days and then realized crying couldn’t really solve anything, so we started picking up accents, our basic vocab, everything. I would say that was the first time little Angela and little me experienced people of different ethnicities. Because in Asia, it’s mostly Asians. 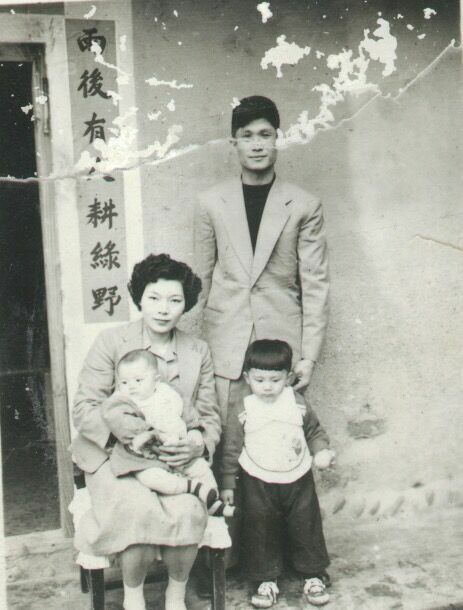 The Lin Family in Taiwan. 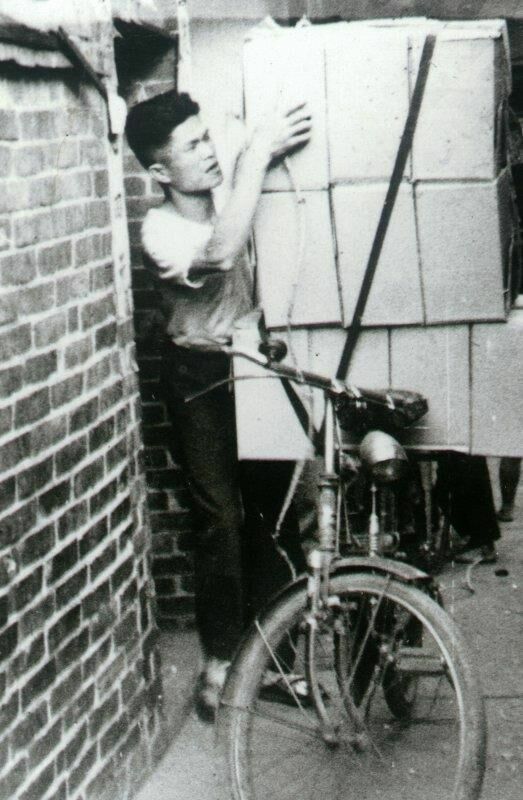 Carrying supplies from one factory to the next. What would happen at the end of the summer? Would you be excited to go back to your home? Jack: After summers in California we’d go back to Taiwan with a really intense tan! Angela: In Taiwan during the school year, people would think that we were only there temporarily, and that we were going back to the States. And when we were in America, people would also refer to us as foreigners. So in a sense, we were treated like foreigners by the whole world. Did that bring you two closer together? Angela: Yeah, in a sense. It was just us and our mom, because our dad had work in Asia, so he was always between Taiwan, Japan, and China. And occasionally he would come to the States to visit us, but it’s a long haul flight. Angela: We went to local school in Taiwan and then for high school we transferred to an international school. So within our community it was fairly common for dads to receive work from abroad and all the families were kind of national, so everyone was in a different country every month or so. So this was the norm we grew up in, but it wasn’t until we got older and went to college that we started meeting people outside of this transnational community and realized that their moms and dads would come home every the night, and that was something very rare for us to see. What was your relationship like with your mom, since it sounds like she was around more? Jack: We were her project, so she had a vision for our education and what she wanted us to learn so she kept us very busy. Angela: We didn’t know we could hang out with friends until high school. Did you ever resent that? Angela: There wasn’t anything else to compare it to, so that was our reality. In retrospect, I think we are grateful for that. Jack: Now we just have a lot of skill sets that we can use. My mom was pretty intense. She was like, ‘Oh, you like to draw?’ And then she would automatically sign me up for Photoshop classes, Illustrator classes so I started doing all that during middle school. And I kind of resented that, from 9am-6pm every Saturday I had to take these classes just because I showed some interest in that area. 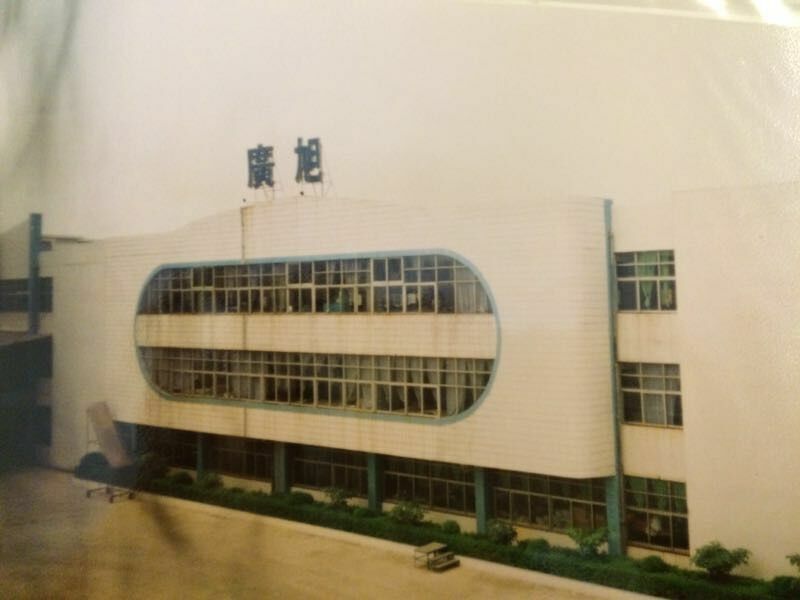 The Lin Family factory in Taichung. Do you still feel like a foreigner everywhere? Angela: Within our community, there’s a term called “third culture kids” for people who are growing up in multiple different environments, getting a multiple educations. They’re in between, they kind of create their own third culture. Now we’re third culture adults, I would say. I mean, I speak English with my brother, but with our parents we speak Chinese and Mandarin, and with our grandparents we speak Japanese and Mandarin. It might be confusing to other people but it’s the norm for us. It’s a little bit strange because whenever people ask us where we’re from or ‘where’s home?’ it’s a lot of places. Angela: Like right now, I would say I live in New York. Am I gonna stay here forever? I don’t know. I haven’t stayed in one place for over a year for the past five years. Jack: And I say I live in the moment. Angela: We can’t answer that question, ‘where are you from?’ It’s not about feeling like we don’t belong, it’s that we can fit in anywhere.